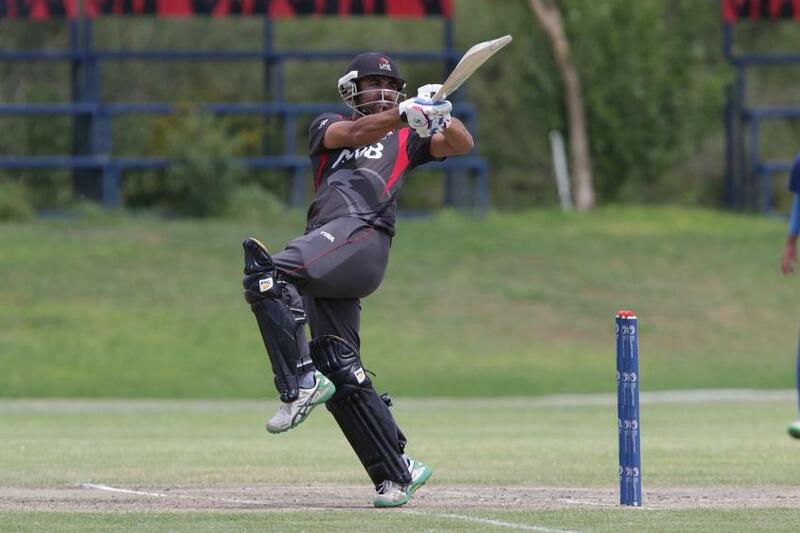 Nepal triumph by one wicket, UAE by 19 runs to keep World Cup dream alive. 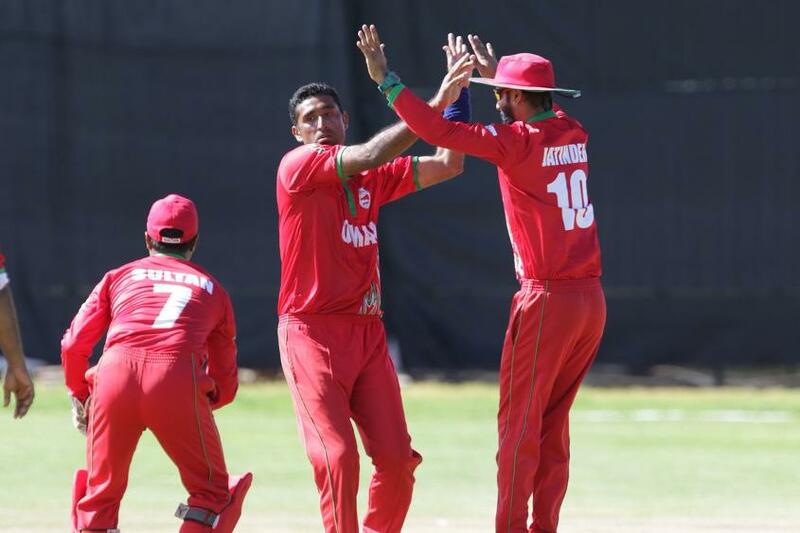 Nepal and the UAE have qualified for the ICC Cricket World Cup Qualifier 2018 in Zimbabwe after a thrilling finish in today’s matches at the ICC World Cricket League Division 2. 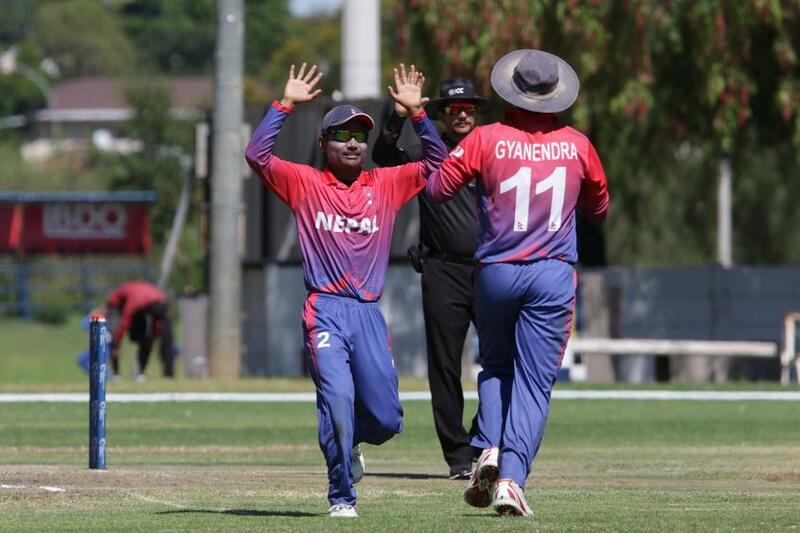 Nepal secured their place in the ICC Cricket World Cup Qualifier after scoring the winning one run in the last ball with only one wicket remaining. Canada who looked to be in pole positon with Nepal on 144 for nine, were heartbroken as the 51-run partnership between number ten Karan KC (42, 31b, 3x4, 4x6) and Sandeep Lamichhane led Nepal to the most unlikely victory. Dilip Nath (41) and Rohit Paudel (27) had chipped in with valuable runs earlier in the innings, as the stand out Canadian bowler Cecil Pervez took three wickets 41 runs. Nepal captain, Paras Khadka gave his reaction at the end of the match: “I can’t speak, the last wicket made 50 odd runs, cricket is just a winner today. I feel for Canada, one in a million times you would win those games. Things have just worked for out for us, we have been working so hard for all these years and eventually it has happened for us, I am speechless.